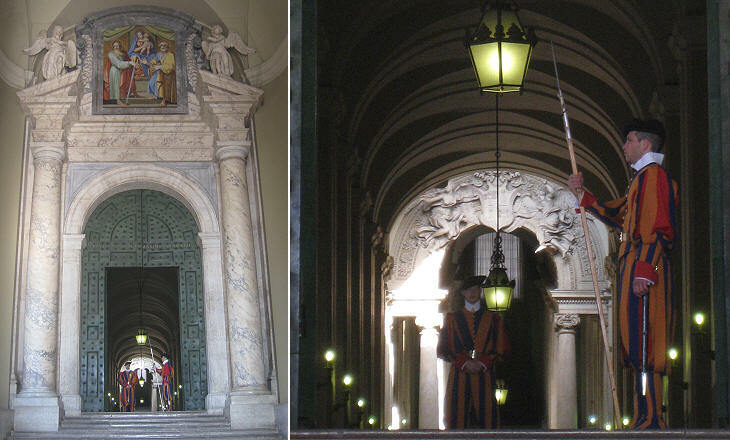 Today the entrance to the Vatican is from the wall at the right of St Peter's. There Michelangelo and Raphael together with the coat of arms of Pius XI look upon the never ending queue of tourists. But, if you were a king (or a President obviously), you would be admitted to the Vatican through the "Portone di Bronzo" which is on the right side of the colonnade (looking towards St Peter's). It is the official entrance to the Vatican (although occasionally when the Vatican Museums are very crowded, groups with no other interest than the Sistine Chapel are brought back outside through it) . Beyond the door a magnificent flight of steps: the "Scala Regia". Built by Sangallo the Junior in the early XVIth century it was restored by Gian Lorenzo Bernini for Pope Alexander VII. 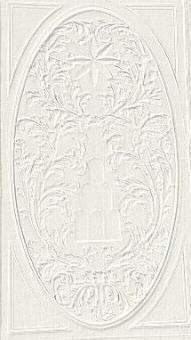 The focal point of the perspective is the coat of arms of Alexander VII. Unfortunately from St. Peter's square one can see little of it and the Swiss guard cannot be bribed. 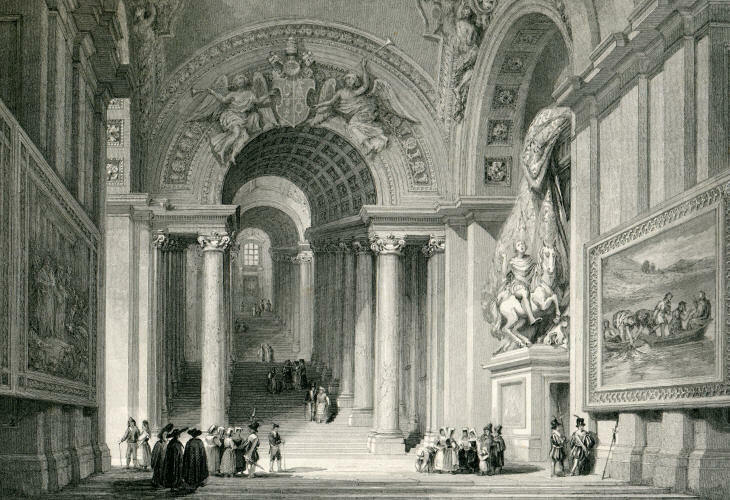 To have an idea of what is behind the Swiss guard we may have a look at this old print. 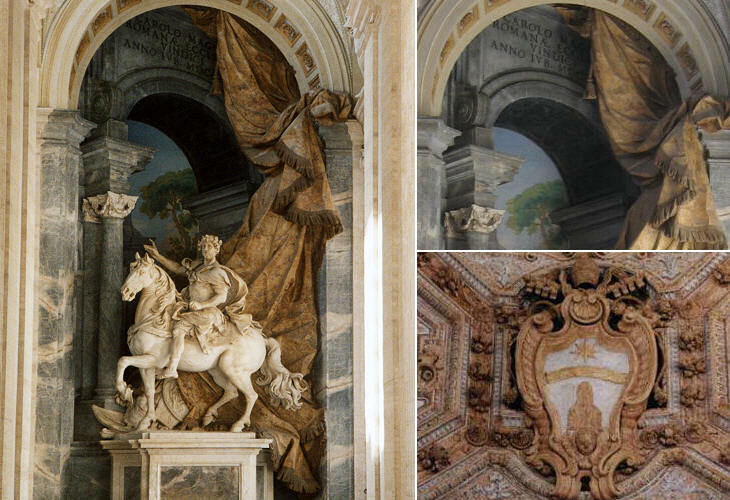 On the right there is a painting by Raphael and after that the statue of Constantine by G. L. Bernini. This statue and the Scala Regia were printed on the 50.000 Liras note, as shown in the icon at the top of this page (Lira was the Italian currency prior to the move to Euro). 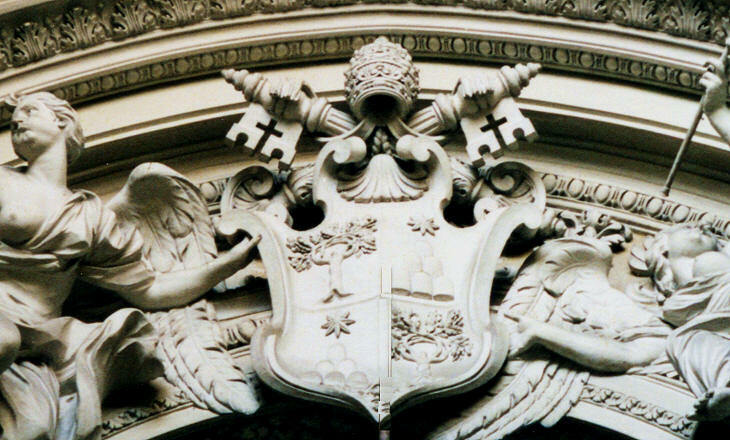 The only real way to have a look at the coat of arms of Alexander VII is from the Portico of St. Peter's. On the right one immediately sees the statue of Constantine, but once you try to have a closer look, a warden immediately tells you that you should stop. Thankfully one morning the warden wasn't there for a short time and I managed to take this photo which shows Bernini's masterpiece. The statue of Constantine by Bernini shows the emperor in the traditional episode of the cross appearing to him before the battle of Ponte Milvio. Behind the statue a drape painted in red and gold (made in stucco) emphasizes the movement of the horse and the pictorial effect of the monument. 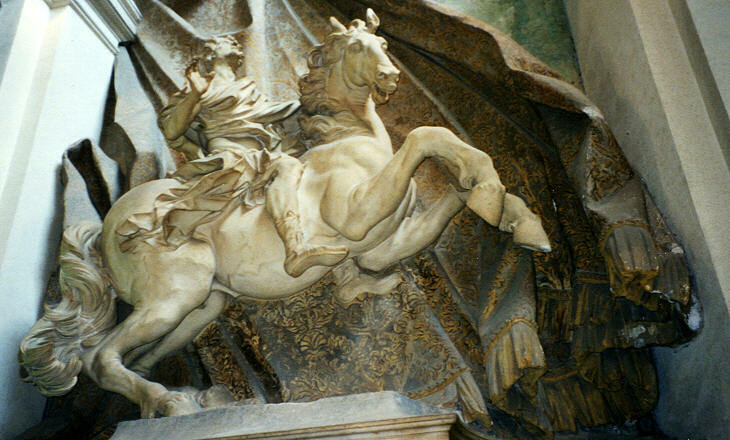 The statue was criticized for the unnatural posture of the horse. The statue is completed by the cross and the inscription In hoc signo vinces (by adopting this symbol you will win). The decoration is extremely rich: you may notice that the flowers are all different. The statue of Constantine was matched in the Portico of St Peter's by a statue of Charlemagne (who was crowned in St Peter's in 800). This too is a very complex monument with a combination of sculpture and painting and a sophisticated perspective. 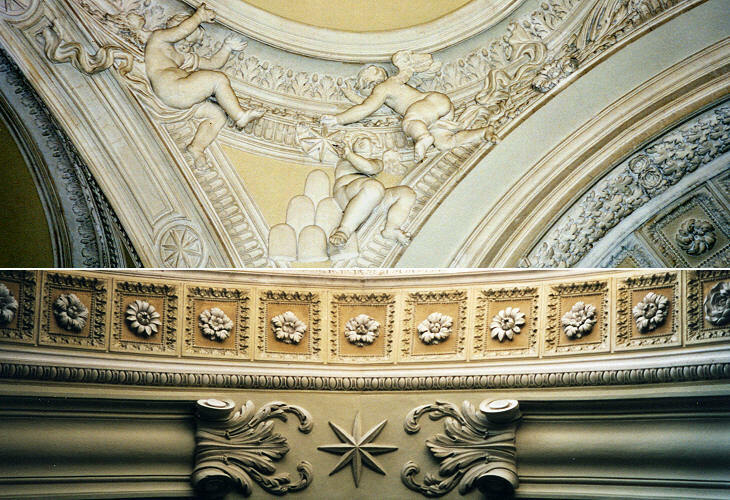 It was built during the pontificate of Pope Clement XI, whose coat of arms decorates the ceiling of this section of the Portico. The statue is by Agostino Cornacchini. Charlemagne is parading like an XVIIIth century gentleman.